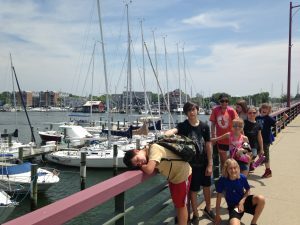 DC & Annapolis Trip – Year 3! 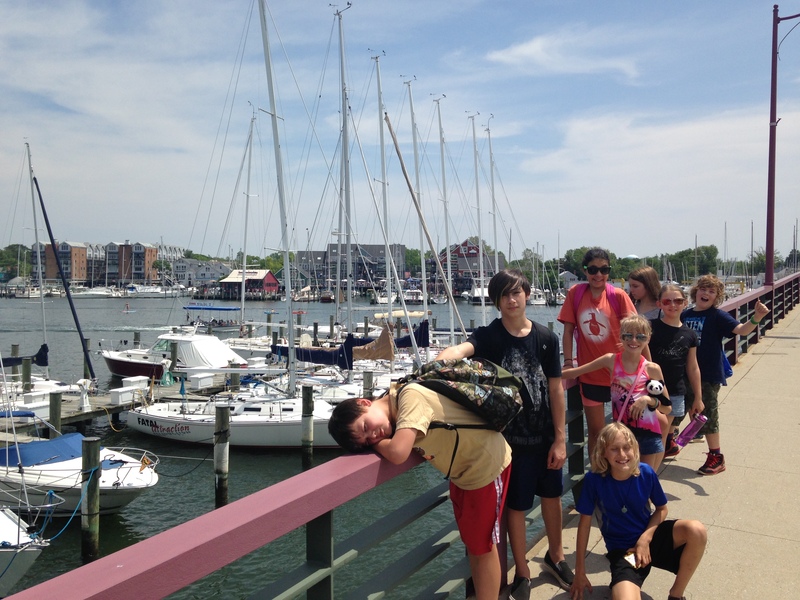 Two weeks ago, @tomis and I took 11 students on a road trip to DC & Annapolis. 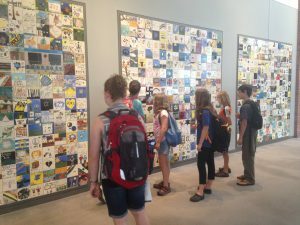 This is the third year this trip has been offered at Mosaic, and for some students, their third year attending. However this is the first year that none of their parents came along with them! At 8:30am on a Monday morning, we loaded up a van & SUV and off we went for the 8 hour drive to my parents house in Bowie, Maryland. My parents very generously share their home with all the students, turning it into one big children’s hostel for three nights. My mom has dinner ready for us every night, a highlight for many of the kids. In fact, I wasn’t planning on going this year, but in the late winter the kids said they really wanted to go so they could see my mom. They didn’t care what we did in Maryland, they just wanted to see her! We left Charlotte around 8:30am Monday morning, arriving to Bowie around 4:30 that afternoon. 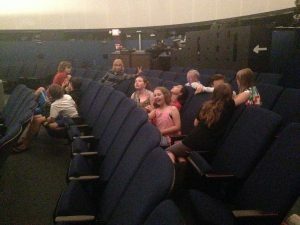 After eating an awesome spread of Vietnamese/American food (my mother is Vietnamese), we visited the Owens Science Center Planetarium the first night for a lecture about stars. The talk ended up being more geared to adults than kids. 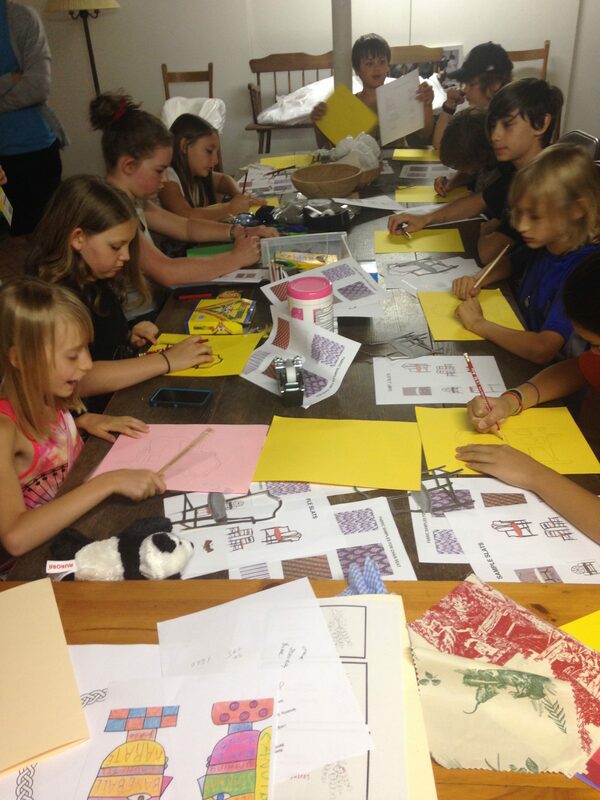 Still, most of the kids sat through the entire hour and a half presentation – some even saying they liked it! I was blown away by their patience and respect to the presenter. Waiting for the presentation to start in the almost empty planetarium! 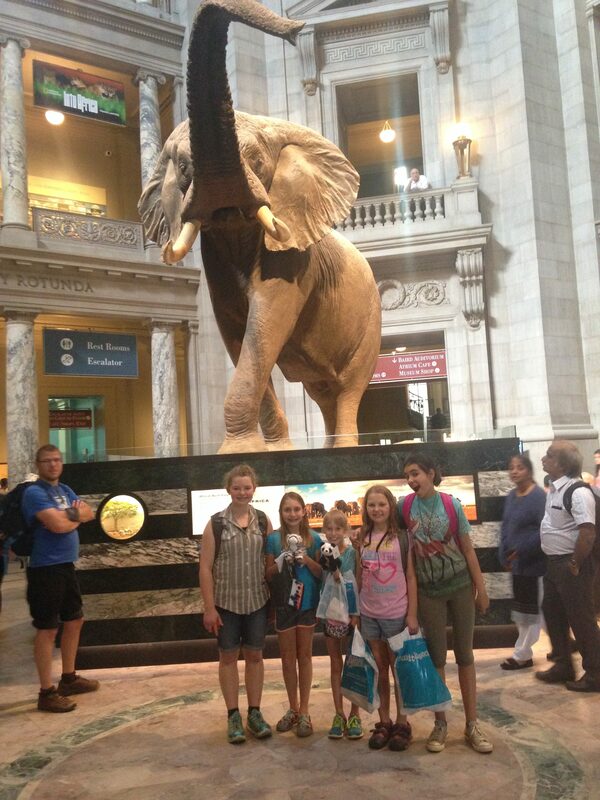 On Tuesday, we went to DC for the day to explore the museums at the Mall. In the morning a group went to the Holocaust Museum with me and another group to the Museum of the American Indian with Tomis. We met up for lunch at a food truck rally behind the Air and Space Museum and then everyone went to the Museum of Natural History together. The Holocaust Museum has a permanent exhibit that you need to get tickets to see. They are free, but very limited. We arrived at 10:15 (it opens at 10am), but the tickets were already all gone. We were able to still see several other exhibits, my favorite being one told from the perspective a boy named Daniel. His diary recounted his experiences of the Holocaust as a young Jewish boy. His family was taken to concentration camps and only he and his father survived, eventually being reunited after they were freed. This was the first year I offered this musuem to the kids. The first year of Mosaic, our oldest student was 10. Now that same 10 year old is almost 13! It is such an amazing journey to watch the kids grow and mature. The Holocaust is a sobering and very heart-breaking historical event to learn about, so it was important that the students felt ready for the content. We had two almost 11 year olds (turning 11 in Sept), an almost 12 year old, two 12 year olds, and one 13 year old attend in this group. We had preparatory conversations before going and we also did a releasing process after (for those wanting this). One student was really sad after the museum, understandably, so we discussed feeling our feelings and allowing them to move through us. I always believe in feeling our feelings rather than ignoring them or pretending they don’t exist. When we keep those feelings in they fester in our minds and bodies. I prefer allowing the feelings to come and move through! A group of us walking along the Mall in DC. The next day we went to Annapolis, where I used to live. It was really fun to take the kids walking around my old stomping grounds. We walked right by the house where I used to live on 3rd street in Eastport. 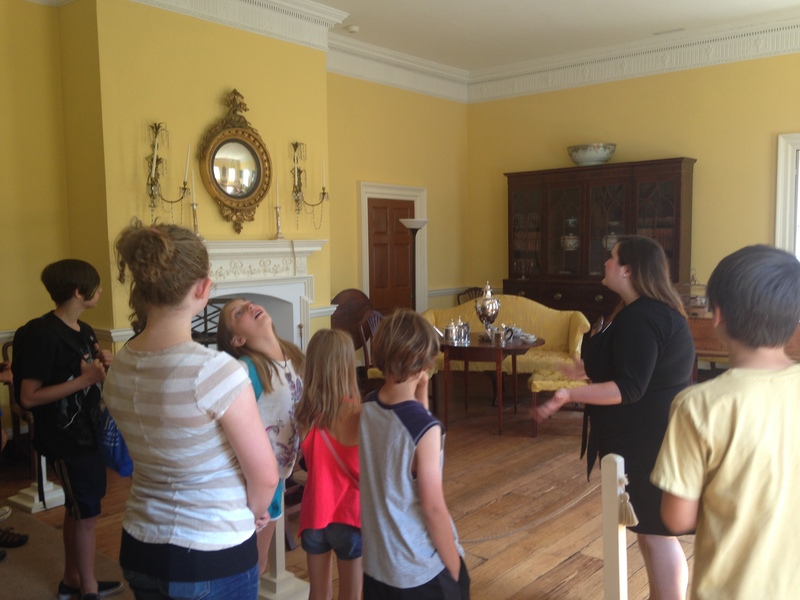 We started off our day at the Hammond-Harwood House, built right after the American Revolution. I loved this tour and the activities that followed. 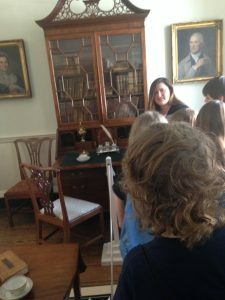 The tour focused on architecture and furniture of the time period. 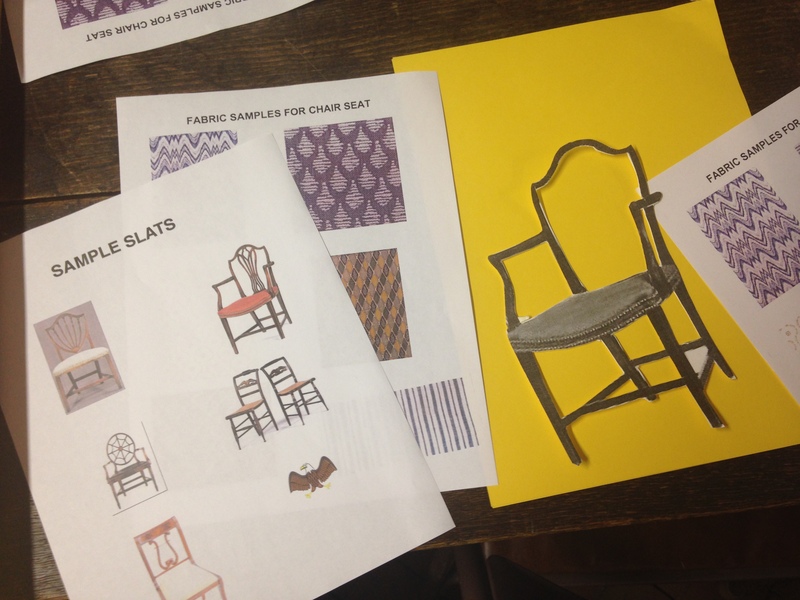 We learned about John Shaw and saw many chairs he designed, some of which still exist today. His furniture was high quality and in demand in the early 1800’s. The picture captions below share more details about this tour & following activities. 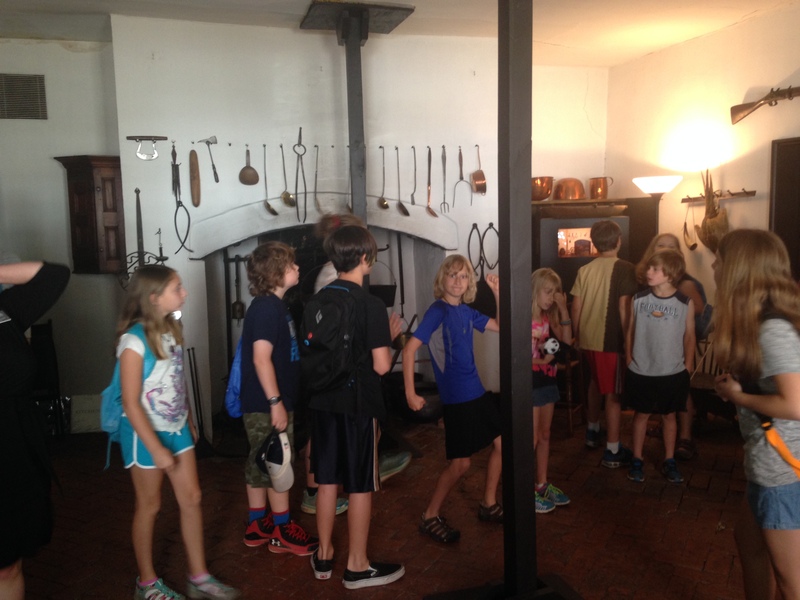 We learned what an 18th Century “security system” looked like – a series of 5 locks on the front door! 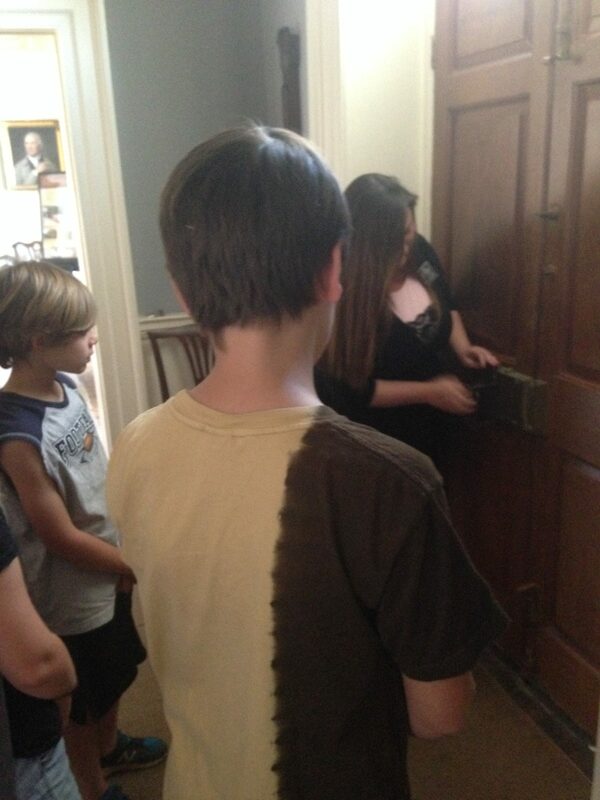 Some kids even got to try locking and unlocking the many locks. Here we are in the study of the house. 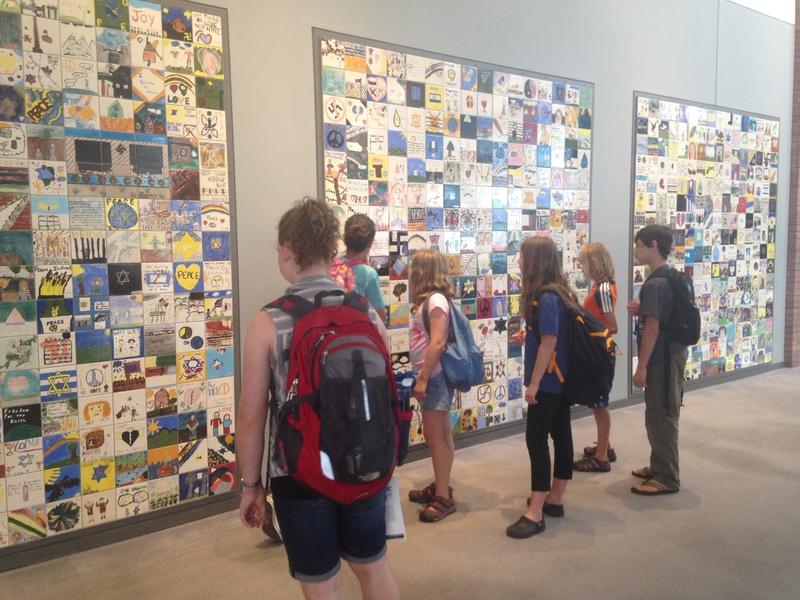 You can see examples of the chair back designs in this picture that we used to inspire an art project after the tour. 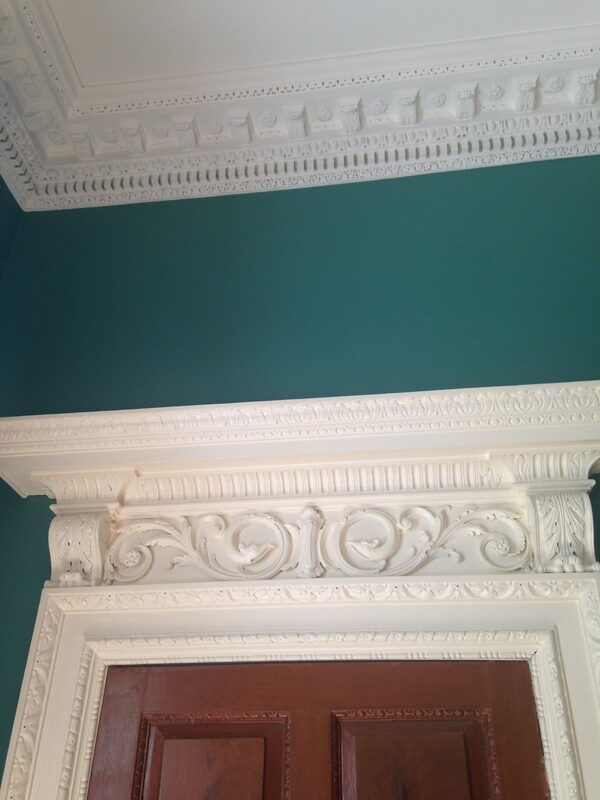 We could tell which rooms were designed for entertaining guests by the fancy molding. In the formal dining room we learned about symmetry. The whole house was designed to be symmetrical. This room had a false door just to match the entry door on the other side. 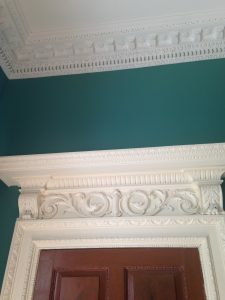 There was also a hidden door disguised as a window to keep the appearance of symmetry. 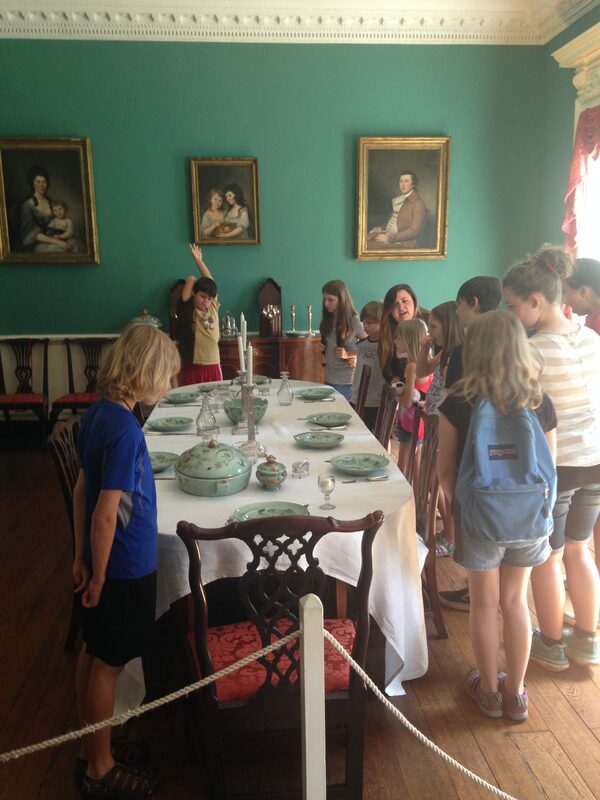 In the ballroom we learned that candles placed in front of mirrors helped reflect more light for parties at night. 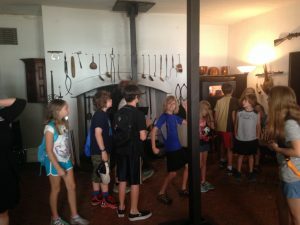 In the servant’s quarters we learned about some superstitions about hiding shoes in the ceiling to ward off witches – this house had an old shoe found in it from the early 1800’s. We got to see it! We also saw the locked spice cabinet – spices and coffee were very expensive and kept under lock and key. After the tour, the kids designed their own chair back designs! This was really fun, and I loved seeing all the beautiful designs they created!!! 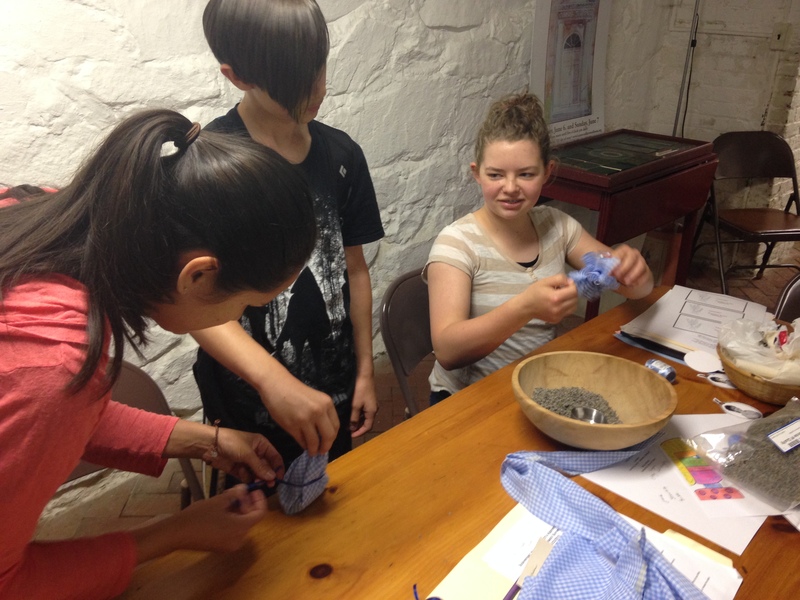 The kids jumped right into the project, it was really neat to see. After the tour, our plan was to just find lunch in the downtown area, walk around Ego Alley (a dock where many people show off their boats by the restaurants), and then go home. However, we found out that it was the Naval Graduation week and that the Blue Angels were going to do an air show that afternoon! We decided to stay for the air show. Annapolis was PACKED with people. Parking and eating downtown were out of the question. I took us over to Eastport (a town that annexed the city in 1951), where I used to live, and found us street parking in an area I was sure tourists didn’t know about. There was a little market/breakfast & lunch spot I knew about with healthy food options, and thankfully, it was still there after 9 years! I haven’t lived there since 2007. The kids got either salads, pizza, or gluten free pizza. We then went to a little beach I knew about to play in the sand and water. There were tons of people there because of the air show coming up. Tomis stayed with a few kids there, and I walked a large group over to the main downtown area (about a 25 minute walk in the hot sun! ), and we watched the show from Ego Alley. It was pretty awesome. We were amazed at how loud the planes were and how close together they flew. One tiny mistake could be fatal! 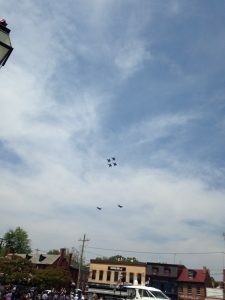 The downside of the Blue Angel show was the volume of people in the area. It took us 2 hours to get out of Annapolis and get back to my parents house! Normally this is a 30 minute drive. Still, it was worth it in my opinion. 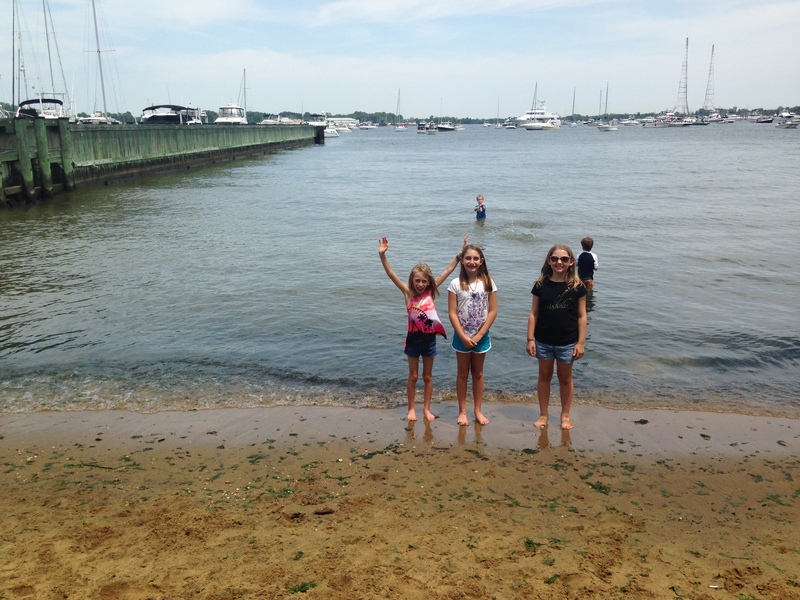 I think the kids agreed too, because many shared that the Annapolis day was really fun. We spent one more night at my parents house, full of fun playing at the park, walking the trails and running around my parent’s house. My parents have a really great home for housing groups of kids with lots of bedrooms and a giant park behind the house that you can see from the kitchen and back deck. The trails also start from the park and come equipped with workout equipment along the way. Playing at the beach in Eastport. Making the long, hot trek to downtown Annapolis. 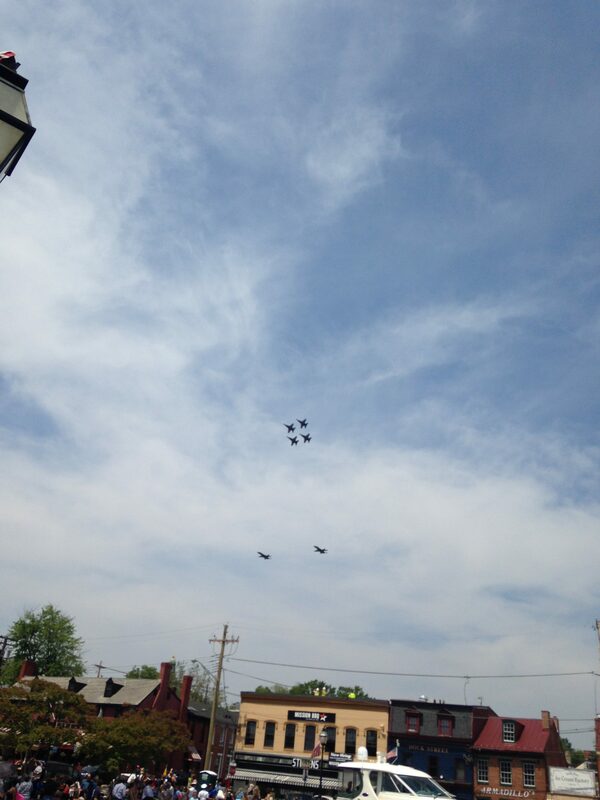 The planes were so fast it was very hard to get a good picture!! They came a lot closer than this, but this pic does show you how close together they fly. 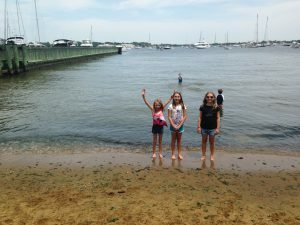 Family: I was so happy that the kids felt comfortable enough to come on an 8 hour road trip away from their homes. The general culture and feel of our school is more family-like than school-like. I love this! Gratitude: The kids expressed gratitude to my parents over and over again. They thanked my mom repeatedly for the meals, which were so yummy. They also thanked my parents for hosting them. I loved that they genuinely felt grateful and were willing to share that. This expression of gratitude really meant a lot to my parents. Holding Space/Giving Compassion: Practicing how to hold space and give compassion for children was my favorite part of this trip. I obviously get to practice this during the day at school, however, it is a completely different experience doing this while on a trip far, far away from home. I think it is healthy and wonderful for kids (when they are ready) to experience life with different caregivers. Being away from mom and dad, they have to figure out how to find comfort in their friends and within themselves in new ways. There were times of “I miss my mommy, I wish she was here,” accompanied by tears and big feelings. I practiced empathizing and loving, as opposed to fixing and “making” them feel better. I remember one of the older students asking me if I was annoyed when someone got upset, and I could honestly share with her that I wasn’t. For many people (myself included), we are taught that problems and big feelings always need fixing. This is not the case in many circumstances. When feelings of sadness or frustration come up, many people simply want to feel heard and loved. Not all problems can be fixed. Sometimes it just takes being heard and validated for a feeling to move through a person. I cherish opportunities to practice in this area, and a trip that is this far away from home is a wonderful opportunity to do it! 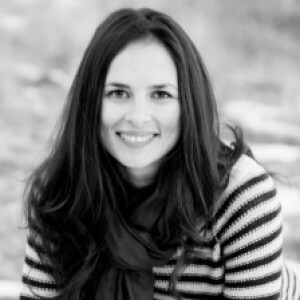 I found myself connecting with the kids in deeper and more meaningful ways. I am SO GRATEFUL that the parents trusted me to travel with their children. 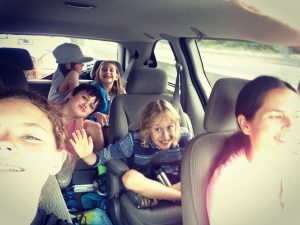 Car Rides with Kids = FUN: The 8 hour car rides to and from Charlotte, and the two hours of traffic in Annapolis were actually really fun! Children talk and talk and talk, and they love to play games. They make the time go by so fast, and I find that I love the road trips with them. On the way home, the kids in my car were hoping we would get stuck in traffic so they could be in the car longer! More Responsibility: This year we had more kids with their own cell phones. It was fun when were in the Natural History Museum to let a group go off on their own to explore so they could take the time they wanted in the exhibits they wanted to see. We set a time and meeting place, and we also stayed in touch via text message. Also, the kids were in charge of their own money, with a $20 daily budget for food. They chose and bought their own food and decided how to spend their leftover money for souvenirs. 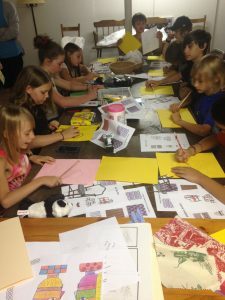 I think this is a wonderful learning experience for them! 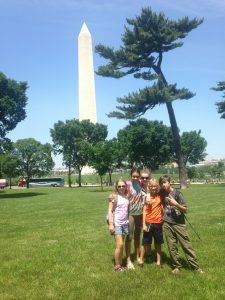 Bonding: There are ways the kids bond with each other on multi-day trips that melt my heart. The kids found deeper connections to each other. This strengthens our community because of their increased care for one another. This has carried over to our time back at school. On my first day back to school after the trip from the long Memorial Day weekend, I came in late because I was traveling back from PA. I walked into the Food Room at school to find most of the kids in school sitting around the big table just hanging out and talking to each other, like they just couldn’t get enough of spending time with one another. It felt like walking into a family reunion. I am so incredibly thankful for this feeling!